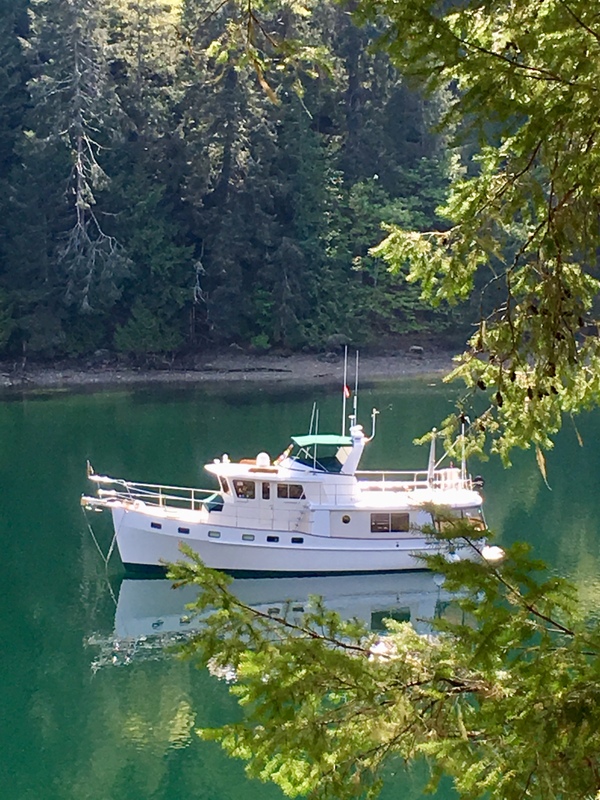 You can sense a wave of calm envelop Idyll Time and her crew as we exit Tsehum Harbor and transition from work mode to cruise mode. It is so nice to finally be away from the boat yard. We will spend the next week testing our systems and exploring some of the Gulf Islands before starting our trek to Alaska. 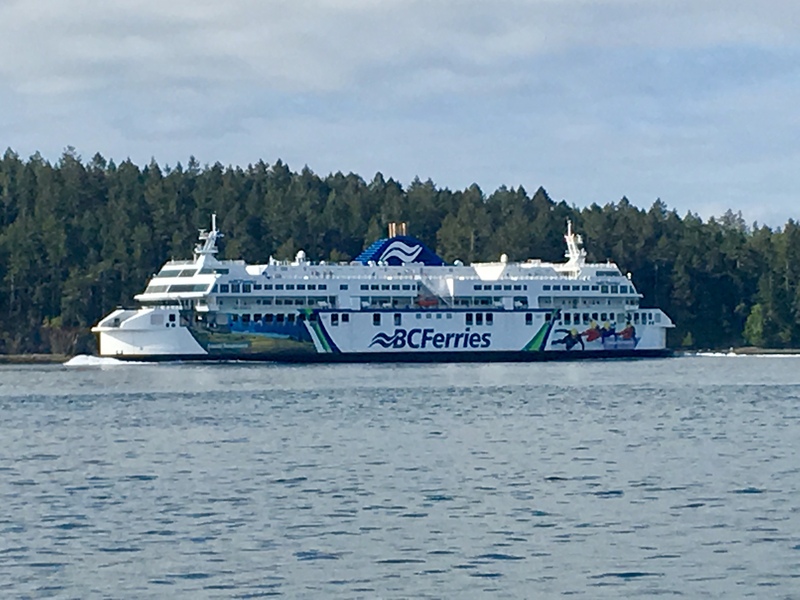 We follow the massive BC ferry into Moresby Passage. 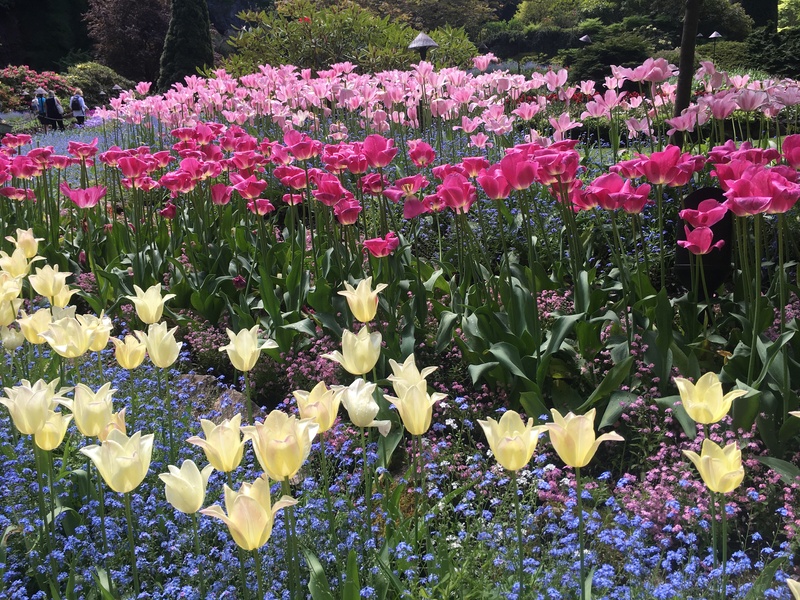 The rains have finally stopped and spring is in the air providing us with a beautiful cruise to Salt Spring Island. The eclectic town of Ganges is our first stop. With calm winds forecast for the next few days, we decide to anchor in the outer harbor. You would not want to be here in a strong blow because the anchorage is completely open to the southeast. 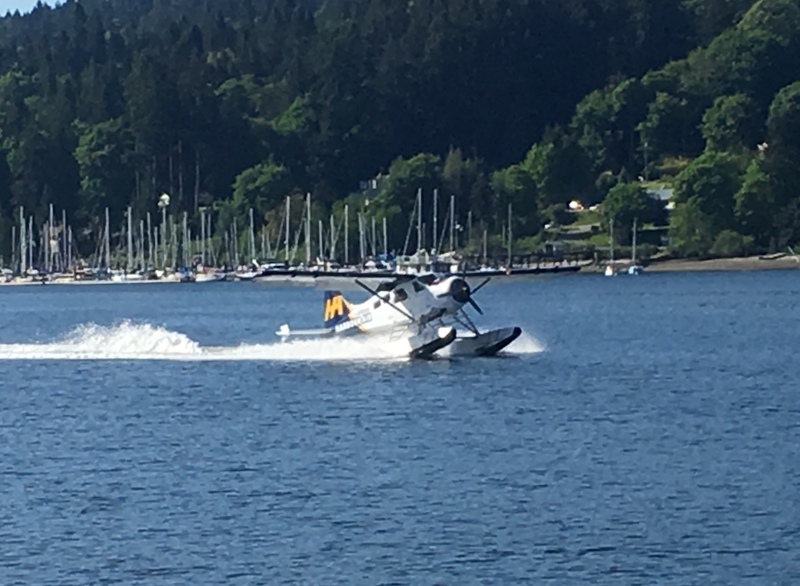 We enjoy a front row seat as many float planes come and go from the busy harbor. 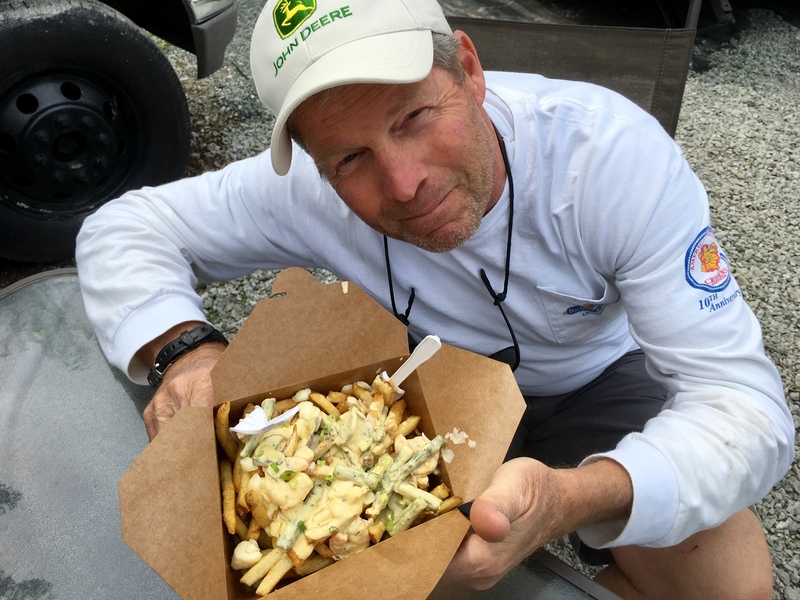 In town, we find several food trucks where we enjoy the Canadian dish of Poutine. Traditional poutine consists of French fries with gravy and cheese curds. We select the special of the day which adds shrimp, scallops, and hollandaise sauce to the artery stopping dish. I have to say it was very good. We enjoy a pleasant two days at anchor. 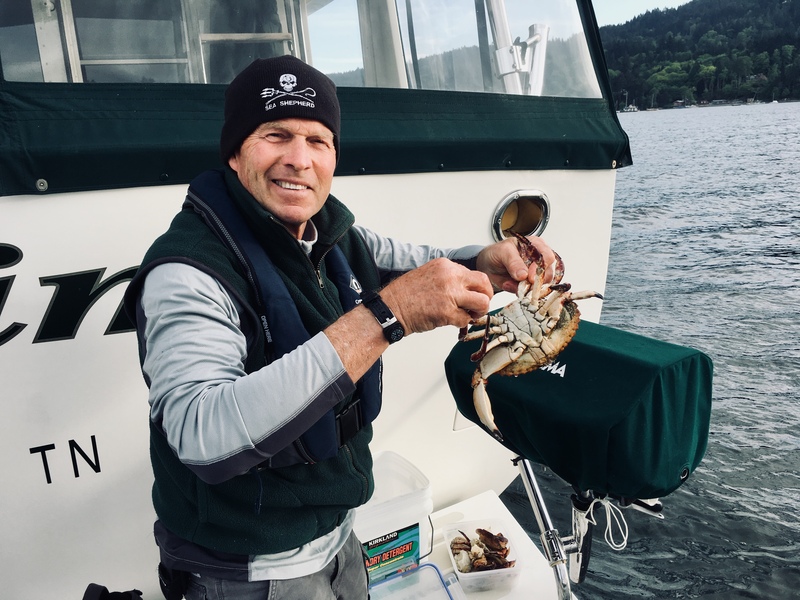 We try our luck at crabbing and pull the traps to find one nice size male Dungeness and two male rock crabs. We will make a crab dip with our catch. Our tranquil anchorage came to a sudden halt around midnight when all of a sudden the winds picked up to 25-30 knots.The weatherman must not have gotten the memo. What happened to the light wind forecast? Needless to say, we were both up in the pilot house for many hours during the night keeping an eye on our position and watching for dragging boats. At seven am the winds finally calmed down. So much for our peaceful night at anchor. Our next destination is Victoria. Leaving Ganges Harbor we take Captains Passage to Moresby Passage while dodging several of the BC ferries. It is another beautiful day with calm seas. After an uneventful few hours, we make our turn into San Juan Strait. We soon pass a bright orange boat heading in the opposite direction. If we weren’t in Canada, I would say it was a U.S. Coast Guard boat. All of a sudden the boat makes a u turn and starts heading our way. It is a U.S. Coast Guard patrol boat. They haven’t hailed us on the VHF but it sure looks like they are stopping us. I open the pilot house door and one of the officers yells to us that they would like to come aboard and that their radio was not working. OK sure! Jeff maintains course and speed and puts IT on autopilot. 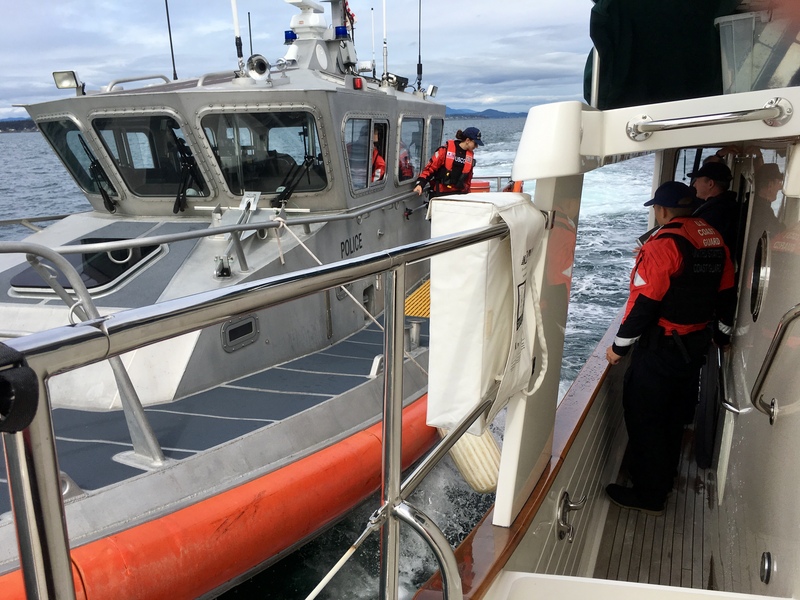 The CG boat pulls alongside and two officers quickly jump over our cap rail and onto the starboard passageway. One officer is USGC and the other is a Canadian Police (RCMP). 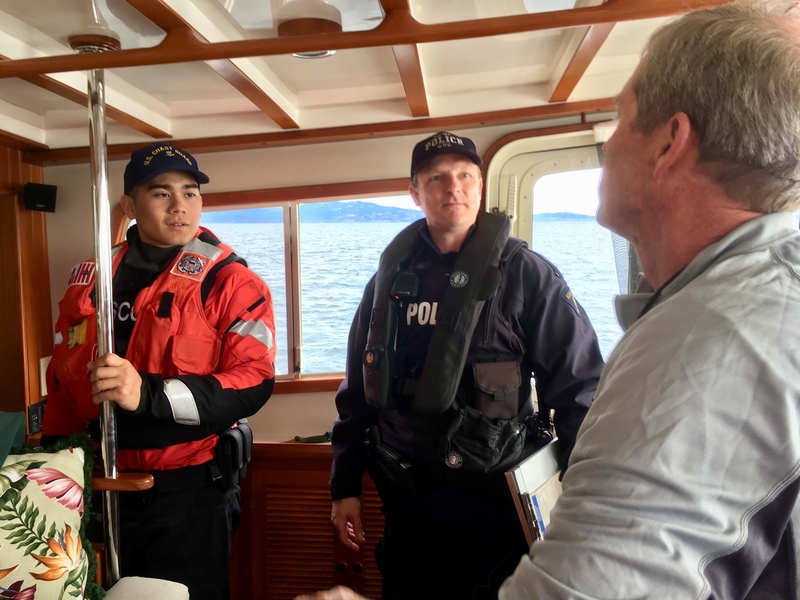 US and Canada have a joint program called Shipwatch in which they patrol the border. The officers are very friendly and after we present all of our documents are given a “no violations” certificate. They said if we were stopped again we could just show this certificate and we would not be inspected a second time. They use these boardings mostly for training purposes. I think they were just bored and looking for something to do. In the twelve years we have owned IT, this is the first time we have ever been boarded. It certainly made our day more interesting. As we approach the Victoria Harbor, we see a cruise ship just outside the harbor breakwater. 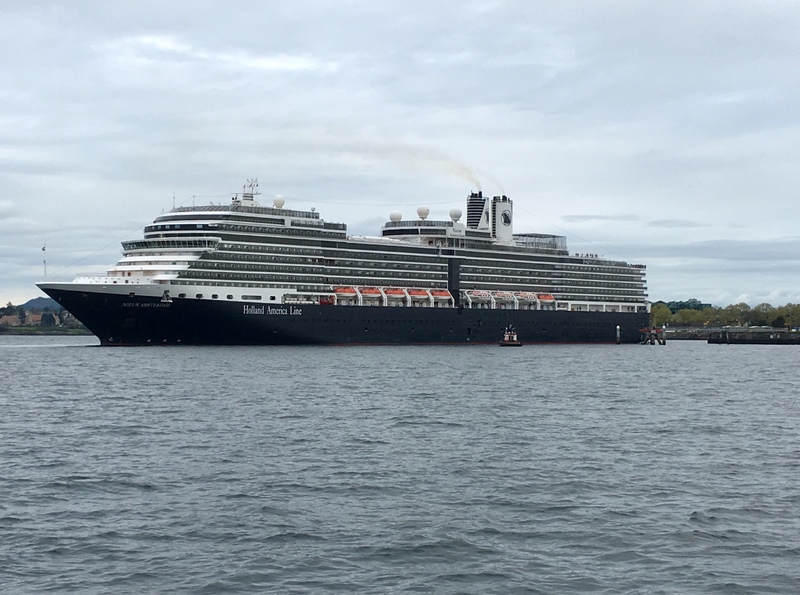 It is Holland America’s Nieuw Amsterdam. We hover just outside the harbor for about 20 minutes while they back the ship into their berth at Ogden Point. About this same time last year, the ship that carried Idyll Time from the east coast was pulling in this same berth. It seems such a long time ago that we were offloaded from the ship and entering Victoria Harbor for the first time. 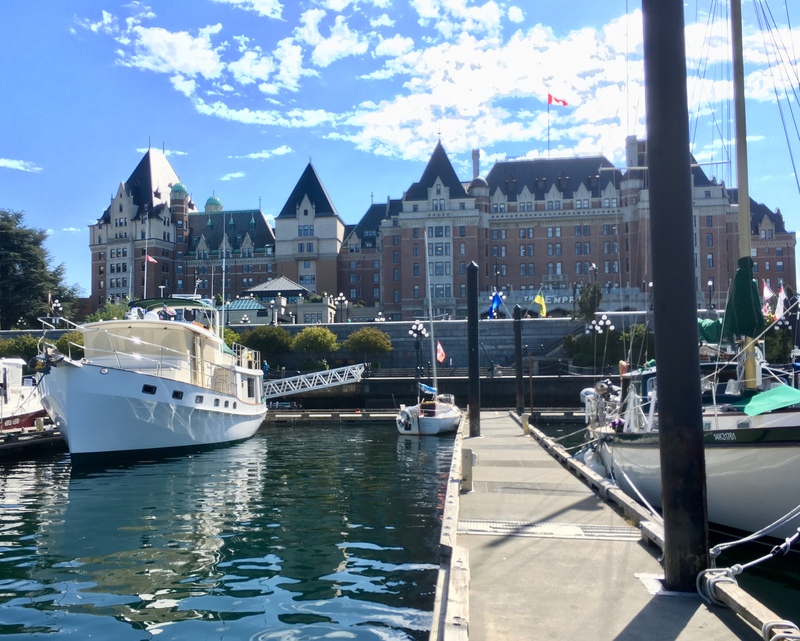 Today is much less stressful as we now know the traffic pattern and what to expect from float planes and water taxis. We have a front row seat at the Causeway docks in the inner harbor. Directly behind us is the stately Empress Hotel. Government Street with its many shops and restaurants is just a few steps away. This is our home for the next week. What an amazing location. We thoroughly enjoy our stay in the busy city. It is so clean, neat, safe, and easy to get around. There are many fabulous restaurants on every corner to choose from. We were entertained at a local Italian restaurant one evening as a couple set up a table outside our window on the sidewalk. They came with two matching dog beds, matching pink blankets, and two beagles. After the dogs were positioned in their chairs, matching pink bows were placed around their necks. The waitress then brings out a dish of peas and chicken which the owner hand feeds to them with a fork. The dogs are celebrating their birthday and come here each year for the occasion. It was great fun to watch as normally busy pedestrians would give a double take as they went by. Many would have to stop and pet the dogs. 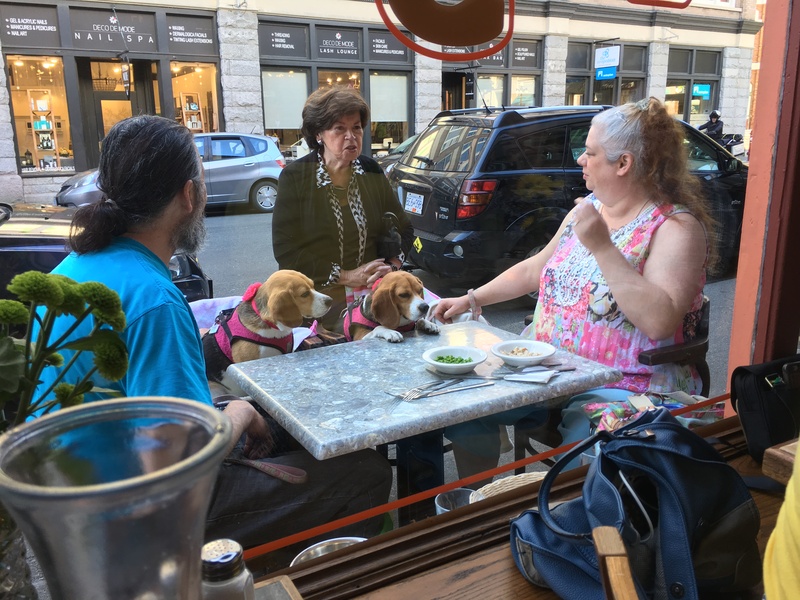 You could tell which people were dog lovers by the length of time they spent chatting with the owners. Jeff’s mom and sister join us in Victoria for a week of cruising aboard the boat. After a nice breakfast at Murchies Tea and Coffee shop, we head over to the British Museum where we spent several hours wondering through the nicely done exhibits. 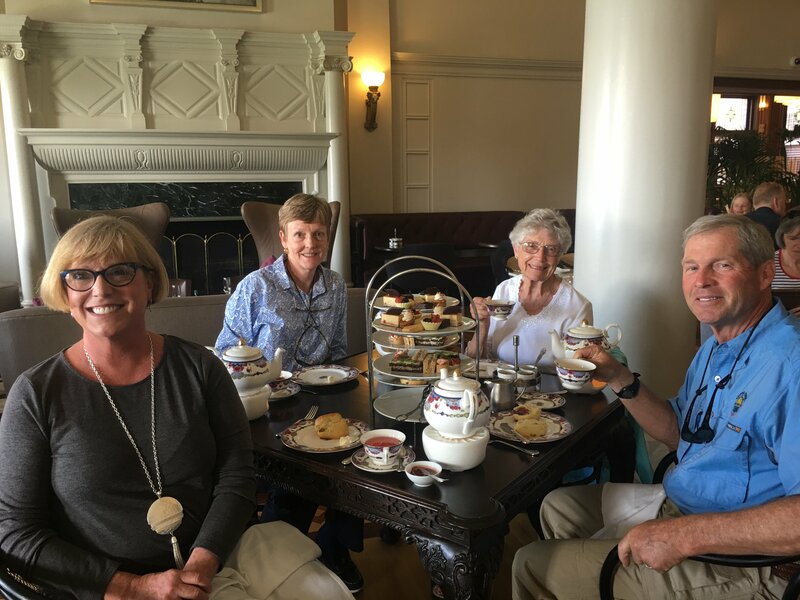 Tea at the Empress is something everyone should enjoy once in their lifetime. We are treated to the full royal experience and came away with a greater appreciation for this British tradition. With a forecast calling for increasing winds and rain, we cut our stay short in Victoria and head towards our next destination of Todd Inlet. This beautiful little cove in Saanich Inlet is our home for two nights. 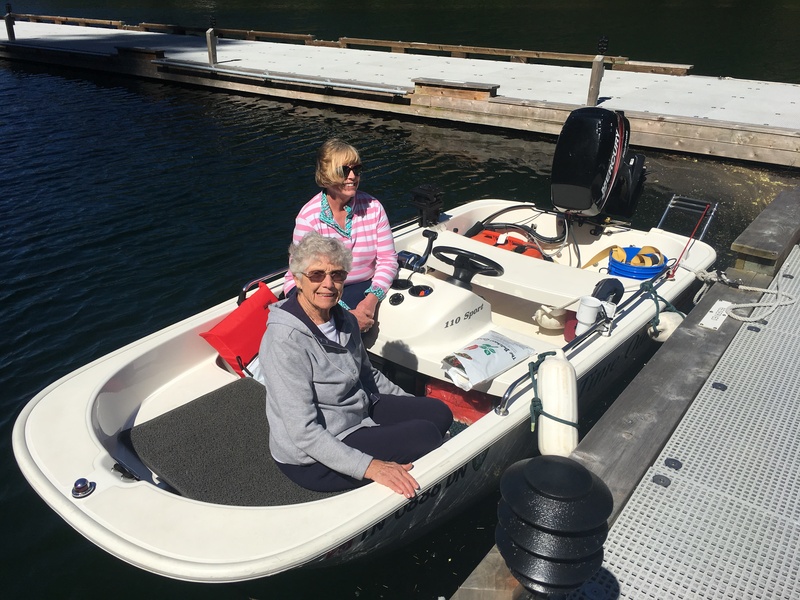 It is a short dinghy ride to Butchart Gardens. 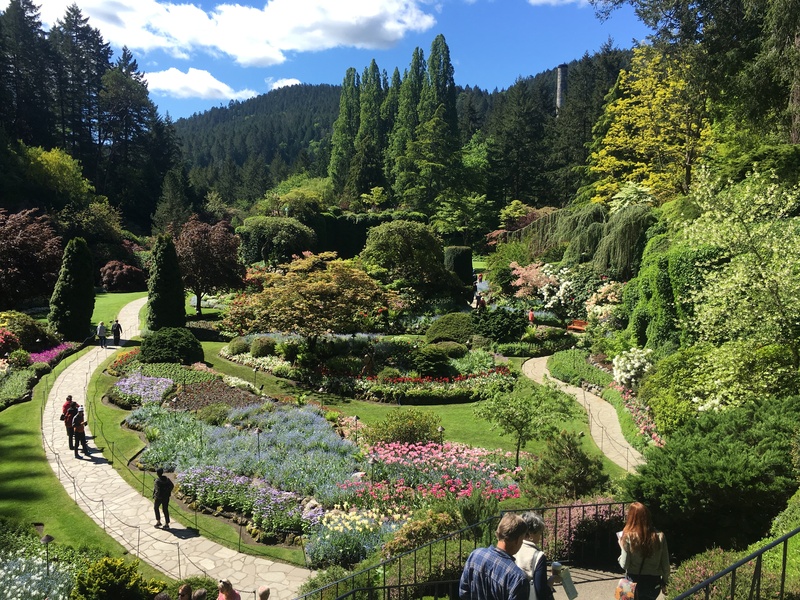 This fabulous gardens was created by Jennie Butchart on their family estates in the early 1900’s and is now a National Historic Site with over one million visitors each year. Mrs Butchart’s foresight in transforming the old limestone quarry into a 55 acre masterpiece is truly phenomenal and well worth the visit. Pictures can not adequately capture the beauty. From Todd Inlet it was a short cruise back to Salt Spring Island in time for their Saturday Island food and crafts market. 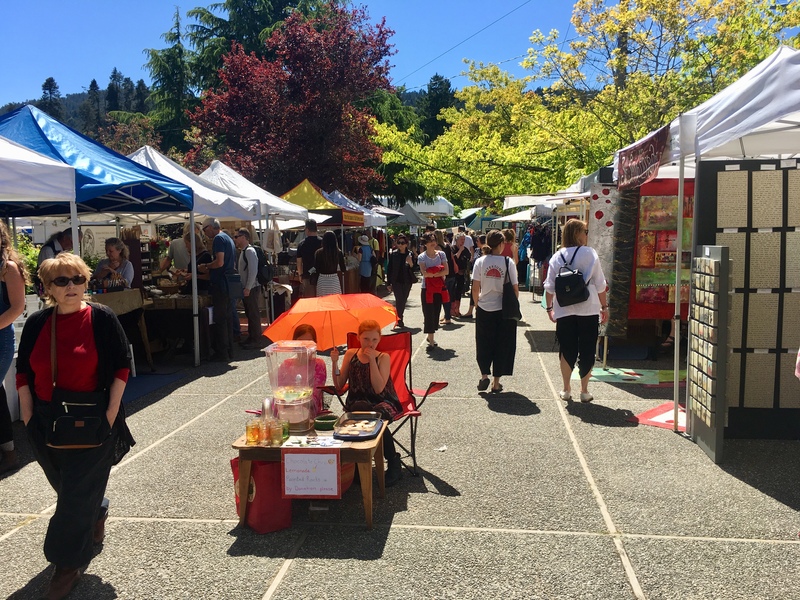 It is the largest farmers market in the Gulf Islands. 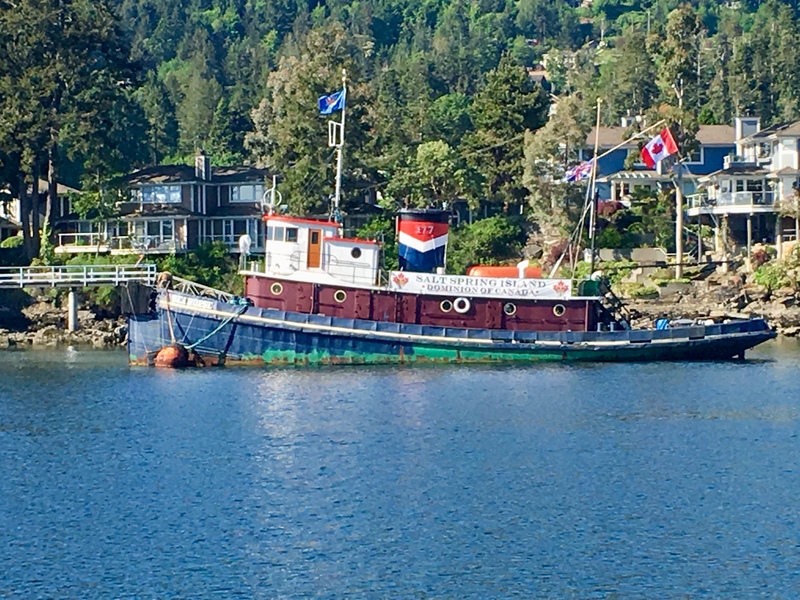 Salt Spring Island is a colorful collage of cultures and alternate lifestyles which is on full display at the market . The next morning, while on way to Sidney we detoured out into Haro Strait hoping to locate the resident pod of Orcas or migrating grey whales. No were to be found on our journey but we did enjoy spectacular British Columbia scenery with the Olympic Mountains hovering in the distance. Returning to Sidney we enjoy a wonderful Mother’s day dinner at the Suisse Bistro. This authentic Swiss Bavarian meal Is a great end to a wonderful family visit. This was a good shakedown cruise for Idyll Time. All of our systems seem to be working well. We will spend a few days here preparing for our next journey. Over the next few months we be working our way north along the Inside Passage to Alaska. We will update the blog as we have internet. Thanks for following along. This entry was posted on May 17, 2018 at 12:41 am. You can follow any responses to this entry through the RSS 2.0 feed. You can leave a response, or trackback from your own site. 1 Response to "Shakedown Cruise Spring 2018"
Such beautiful country to share with your beautiful Mom and Sis! Your blog reads like a Rick Steeves travelogue. I almost feel as if I were there. And we can certainly relate to the mechanical issues as we prepare Agape for launch next week. Why is it always so much work?! So now it’s Alaska or Bust for Idyll Time. We’ll enjoy the trip vicariously ????? ?.